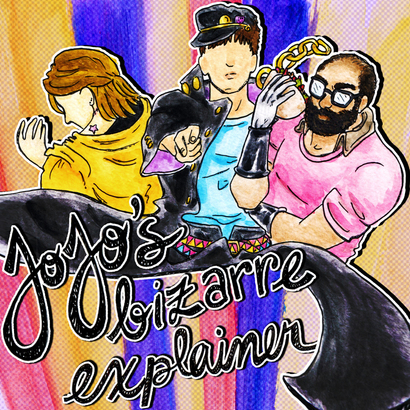 In this episode we watch the Stardust Crusaders OVA so you don't have to. Well, you should watch it if you want Dio and Vanilla Ice to talk like nerds, and if you want Jotaro to be ugly, and if you want Polnareff and Forever the orangutan to have a series of Beauty & the Beast style dinners together. Okay everyone wants that last one so maybe you SHOULD watch it? Probably best to just listen to us first so you can make an informed decision.